Apparently, this is trickier than it sounds. A new video from feminist culture critic Anita Sarkeesian released recently highlights various ways female characters can be portrayed positively in video games. It's part of Sarkeesian's "Feminist Frequency" series, which explores how women are represented in the media. 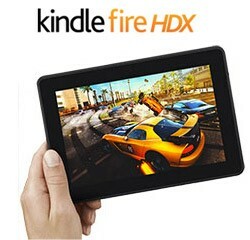 LAST CHANCE: Take WIGI's brief industry survey for a chance to win a new Kindle Fire HDX! The augmented reality and virtual reality markets have yet to get off the ground. But market advisor Digi-Capital estimates that the combined markets will reach $150 billion by 2020. Digi-Capital managing director Tim Merel believes that augmented reality — where you can add a virtual overlay to glasses that enable you to see the real world in a new way — will be four times bigger at $120 billion than virtual reality, which immerses you in a virtual world via goggles. When jurors returned from deliberation in San Francisco Superior Court recently, they somberly delivered a verdict rejecting all of the gender discrimination claims that former junior partner Ellen Pao had made against VC firm Kleiner Perkins. For some of those outside of the courtroom, this was a surprise — over the course of the five-week trial, Ellen Pao had become almost a folk hero, fighting against the status quo that's kept a lot of women out of investing roles and the boardroom since the dawn of the industrial revolution. Over the last 20 or so years, some shootings in this country have been blamed on video game violence. but researchers are finding out that violent video games might not be the problem. Contrary to popular belief, violent video games may have no effect on children's behavior. But it may be the amount of time they put into it that's the problem. Ryan Green's young son, Joel, was suffering, stricken with cancer — and there was nothing Ryan could do to help him. It was his son's first overnight stay in the hospital. Joel had been diagnosed with Atypical Teratoid Rhabdoid Tumor. He would eventually undergo surgery, radiation therapy and chemotherapy, but that night he was simply struggling to keep down sips of water. Every time he tried to drink, he threw up. User Experience is becoming very trendy albeit fairly new in the video game industry, so there are still a lot of misconceptions regarding what it is and what it's not). To explain it in a nutshell, UX explores how it is like for the target audience (the players) to experience your game (and everything beyond, such as downloading the game, consulting forums, etc.). It uses neuroscience and psychology knowledge and applies game user research methodologies (e.g. playtests and analytics) to make sure that the game has good usability and is immersive.